Last week, we published our final edition of the SamMobile Firmware Magazine as we looked towards bringing more varied content to our esteemed readers and visitors. 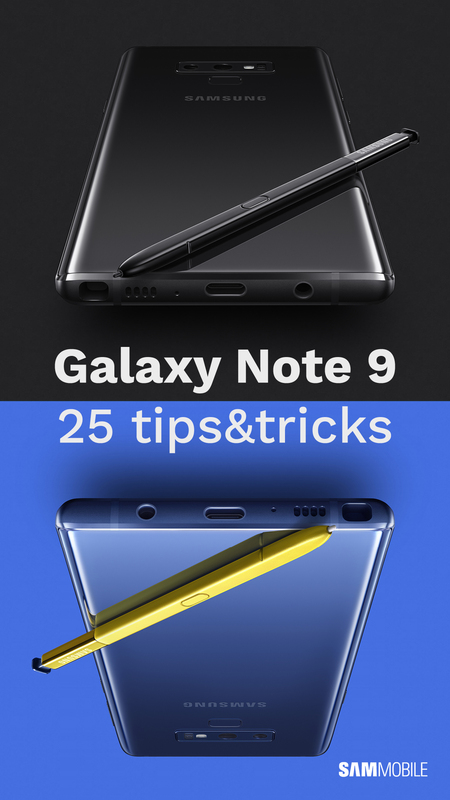 So today, we present to you our Galaxy Note 9 tips and tricks magazine, which includes 25 various tips to help you get the most out of your Galaxy Note 9. These are the same tips that we have been publishing on the website, but you can now read through them all in a single PDF file. From first-time setup tips for new Galaxy Note 9 owners through taking screenshots to enabling many of the useful software features on the device, this magazine covers a wide variety of topics. And it has the attractive design that you’re used to from our firmware magazines. Go ahead and download the magazine by clicking the picture below. Also look out for more such content and magazines in the coming months.